Playing dreidel for hours makes you hungry—and we’ve got the perfect snack! 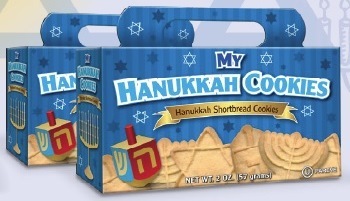 Our Hanukkah Cookies are the only ones of their kind on the market! Certified kosher these delectable shortbread cookies come in your favorite Hanukkah shapes packaged in a spirited holiday box.